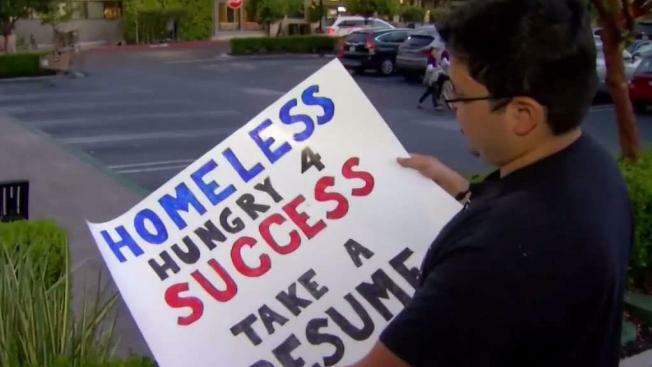 A Silicon Valley homeless man has received many job offers after a photo of him holding a sign that read "Homeless, hungry 4 success, take a resume" went viral on social media. Damian Trujillo reports. A Silicon Valley man who went viral from a photo of him holding a sign that read "Homeless, hungry 4 success, take a resume" has landed a job. Dave Casarez announced on social media he has accepted a position as a software engineer for California-based White Fox Defense, a drone airspace defense company. A tweet posted July 27 by a good Samaritan showed Casarez standing at an intersection in Mountain View holding his sign. The tweet went viral, garnering more than 139,000 retweets and nearl 2,000 comments. Casarez as a result received hundreds of messages in support and possible job opportunities. 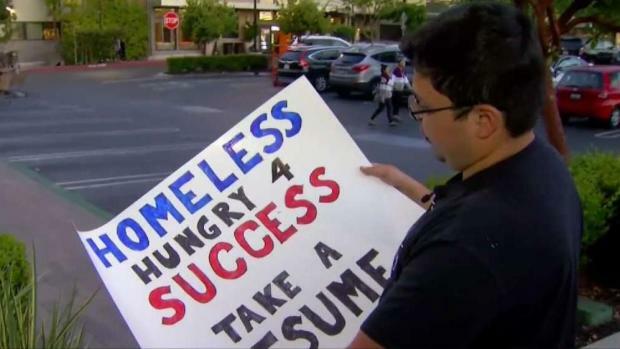 A Silicon Valley homeless man has received many job offers after a photo of him holding a sign that read "Homeless, hungry 4 success, take a resume" went viral on social media. "I'm just completely blown out, receiving so many e-mails of support," Casarez previously told NBC Bay area. Casarez moved to the Bay Area from Laredo looking for a job in tech. He said he ran out of money and lost his car, which was also his home. Casarez then spent his nights sleeping at a Mountain View park and his days trying to get the attention of any employer he could.